Most of us would love to make our smiles a bit brighter. Over time, teeth get discolored from foods that stain such as coffee, berries and pasta sauce. The good news is that there are several ways to remove this stain. Some people prefer the faster results of professional bleaching applied at the dentist’s office. Others opt for more cost effective whitening products, which can be done at home but can take much longer to work. Both options use peroxide-based bleaching agents, and over-the-counter whitening products contain only 3% to 20% peroxide (carbamide or hydrogen peroxides), while professional systems contain from 15% to 43% peroxide and are generally more effective. The longer you keep a stronger solution on your teeth, the whiter your teeth will become. However, the higher the percentage of peroxide, the shorter the solution should be applied to teeth. Whitening is safe for teeth, however keeping gel on for too long will dehydrate your teeth and increase tooth sensitivity. Fluoride helps to significantly reduce this sensitivity and we recommend doing an in-office fluoride varnish or rinse after bleaching. We describe in office bleaching as the instant gratification option. We use a biolase laser which activates the bleach decreasing the amount of time it is on your teeth while simultaneously making it more effective. The entire procedure takes about an hour and patients are often amazed at how little sensitivity there is compared to past bleaching experiences with UV lights or at home options. Tooth-whitening strips. Applied directly to teeth using a thin strip, these peroxide-based products usually need to be applied once or twice a day for 10 to 14 days. Strips generally use a lower strength of bleach because it is nearly impossible to keep the bleach off your gums. Tray-based tooth-bleaching systems. With this option, trays are filled with a peroxide-based gel and placed over teeth for one to several hours a day for up to several weeks. You can buy tray-based tooth whitening systems at stores or have one custom-made at Wynkoop Dental. We recommend custom trays because better fitting trays help keep bleach off your gums which reduces the risk of chemical burns. Whitening toothpastes. Because they’re mildly abrasive, toothpastes may help remove stains. Whitening toothpastes also contain chemicals or polishing agents that scrub stains from teeth without bleaching agents. Effects of whitening toothpastes are minimal. 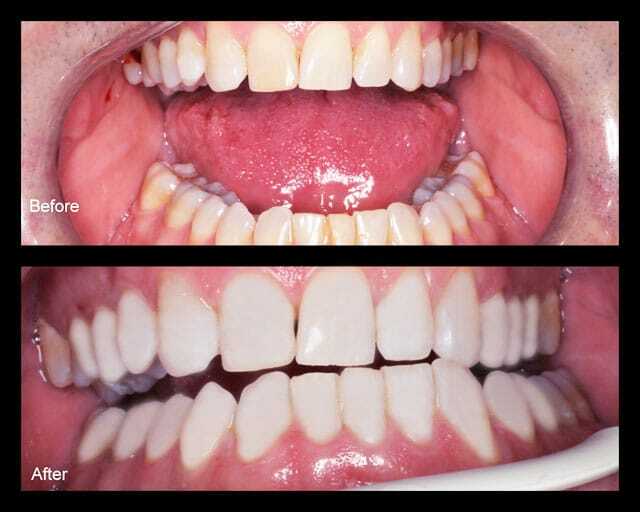 Whitening is not guaranteed but most people are able to get 1-3 shades lighter teeth with bleaching. Bleaching will not whiten porcelain crowns or composite tooth-colored bonding. Teeth that are yellow in color bleach best. It is more difficult to bleach brown colored teeth and gray teeth are nearly impossible to bleach. 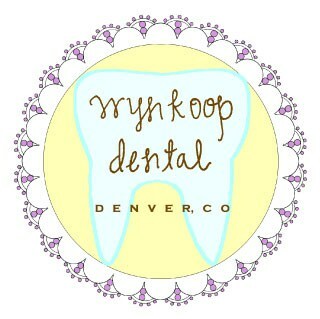 Call us at 303-572-4487 if you would like to discuss which teeth whitening option is right for you or click here to learn more about the quick, safe and pain free teeth whitening services offered at Wynkoop Dental. We’d love to help you brighten up those pearly whites!